Welcome to the Pelican Gun Cases area. We have cases for 1 pistol, like the pre-cut 1170PC, or pick 'n pluck model the 1170. 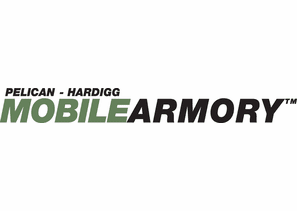 We have the Mobile Armory line, which are Pelican-Storm cases that have the foam already pre-cut for popular model firearms. Pelican Storm Mobile Armory cases can store 1 pistol, 2 pistols, - up to 20 pistols and also long guns. We stock single rifle cases, double rifle cases and shotgun cases like the 1700, 1720 and 1750.